Taking a few days out to give your digestive system a rest and flood your cells with the Cold Pressed ‘bloods’ of fresh vegetables (of any kind) and leafy greens, is one of the best things you can do for your health. But there’s something extra-profound about juicing on GREENS, with supporting detoxifiers. For anyone out there who wants a potent detoxification with alkalising benefits, this is the Cleanse for you. The four Greens will boost your pH. level, while the Black Magic acts as a potent detoxifier (it’s loaded with Activated Charcoal) and the Health Nut provides a nourishing dose of Nut Mylk with medicinal spices. So why do you need to try our Fruit-Free Cleanse…? If you missed my article earlier in the week about alkalinity, please check it out here. Seriously, leafy greens are commonly considered ‘nature’s blood’. Why? Because greens are full of chlorophyll. Chlorophyll is essential for plants to grow and produce fruit, so it’s like magic for your cells when you spend 3 days flooding your body full of it. You’ll feel and notice an incredible difference. 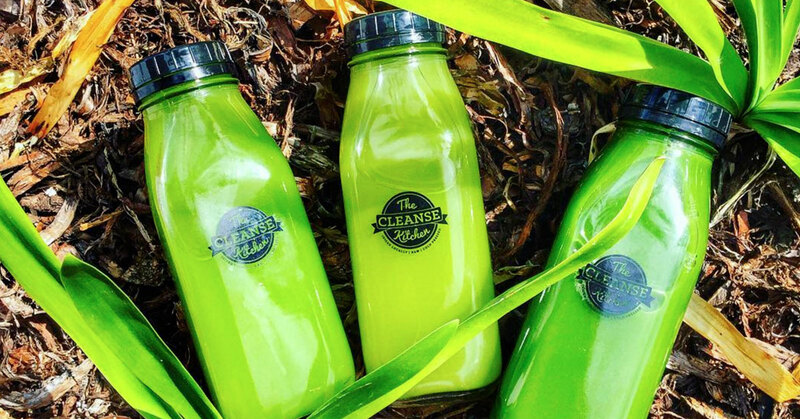 No one said that going GREEN is the easiest thing in the world to do, but if you’re committed to a ‘deeper’ cleanse and greater results, then this really is the cleanse for you. As you start to load up on greens you’ll be changing your pH levels to put you up in the ‘neutral / alkaline’ spectrum…and as I mentioned in my article, it’s awfully tough for dis-ease to exist in an alkaline rich environment. So as you become more alkaline, you’ll actually be working towards healing your body of any ailment or discomfort you might have. Think IBS, fatigue, viral overwhelm, congestion, eczema and more. When you cleanse on our Cold-Pressed Juices, you’re consuming the ‘bloods’ of fresh vegetables and leafy greens to satiate your cells with electrically charged nutrients that they truly recognise and thrive upon.